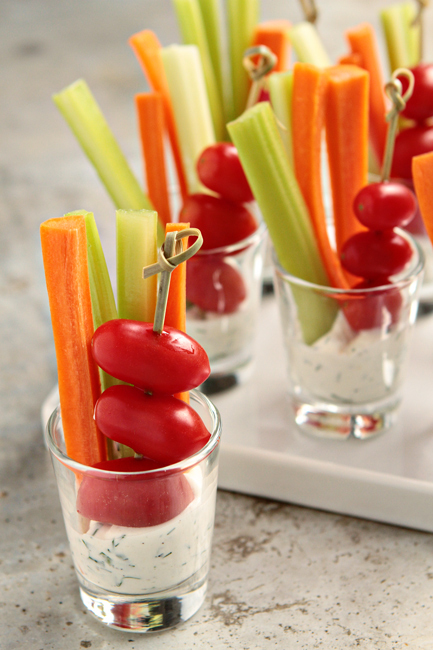 These cups make a fun and easy way to eat your veggies. 3. Refrigerate until well chilled. 4. Place a dollop of dressing in small glass. 5. Arrange veggies in dressing in glass. Use a skewer to place tomatoes on.